Assignmentgeek.com is a top math assistance company. Termpapereasy.com will turn your science term paper into a masterpiece. Stuck with your paper? Say: Write my paper for me and get it done. The Buran-Energia project was created at the beginning of the seventies to counter the American shuttle. Indeed, the american shuttle was seen by the Soviet leaders as a formidable military asset, so they decided to create one. This program was the most ambitious project of the history of the Soviet space conquest. During 18 years, more than 1 million people in 1286 companies and 86 ministries and departments directly worked on the project. The greatest scientific and industrial centers of the country took part in it. Unfortunately, the total cost of the program (16.4 billion roubles in 1992) definitely ran out of steam the wavering economy of the USSR, the project was finally stopped in 1993 due to lack of credit. 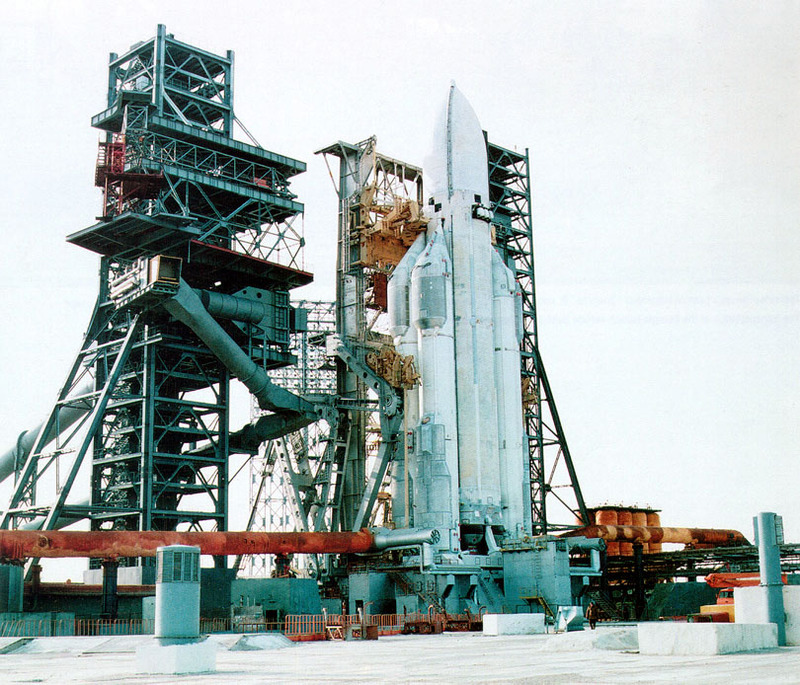 Although very similar by its appearance with the American shuttle, the laws of physics are the same ones for all, the space shuttle Buran ("Буран" in Russian means "Snowstorm") is entirely of Soviet design, from the mechanics to the electronics. Thus, many differences separate this 2 orbitors, here are some: the Buran shuttle have a higher orbital and deorbital carrying capacity, its 2 engines at the rear enables it to fly during the re-entry in the atmosphere, it is equipped with a more powerful heat shield, but the main difference is that Buran can fly in automatic mode without any pilot on-board, from the takeoff of the rocket to its landing on the tarmac. The launcher Energia ("Энергия" in Russian means "Energy") whose development started with the Buran project was not conceived only for it. It was planned to be used, with the shuttle, or with other loads, placed on the side (like Polious) or in the nose cone. Energia is part of a very modular launcher family based on same technicals characteristics wich allow them to be complementary. This modularity was made possible by the addition of auxiliary booster rocket from 4 to 8 all around the rocket, and by a more powerful and ecological liquid propellant (oxygen and hydrogen) instead of N2O4/UDMH as it is used on Proton launchers. In its maximum configuration (8 booster rockets), the payload that can be put into orbit could reach the 200 tons. Certainly the 'Buran-Energiya' system is the more effective space complex. But it is necessary to remember that "Buran" was created after 'Space-Shuttle' with a break of more than 5 years. It has allowed on one hand to apply more modern methods of designing, materials, manufacturing technologies, test methods etc. and to another - has enabled our designers to take into account all foreign miscalculations and mistakes. The on-board system was also created as an improved in comparison with the existing American shuttle. Certainly for past years 'Space-Shuttle' has been exposed to numerous updates but it has a main advantage compared to 'Buran': it flies. 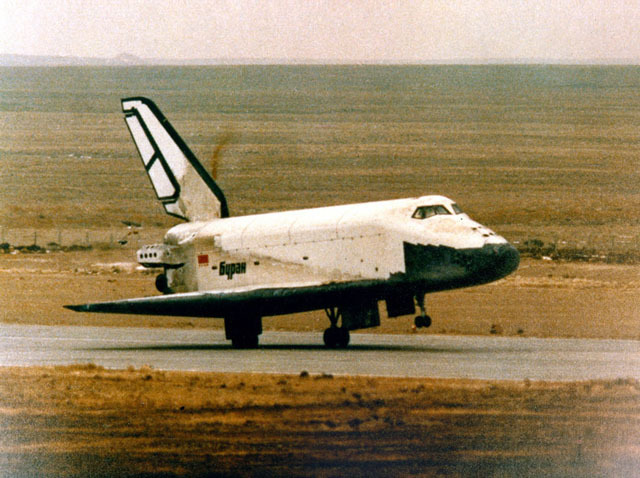 It was the first and until now the only landing in automatic mode of a shuttle in the aerospacev history. This new and outstanding fact in the space exploration was gained brilliantly by the science and the Soviet technology.